“The National Defense Authorization Act includes a $700 billion budget for the Pentagon. The Greater Charlottesville region already profits from defense spending, and new military research and production projects could bring even more benefits. In 2016, defense spending poured nearly $1.8 billion into the local economy, both directly and indirectly, through more than 5,000 individual contracts, according to governmentcontractswon.com. “As for benefits elsewhere in Virginia, let’s just look at the Navy alone. Washington’s new budget includes $26.2 billion for 14 new warships, $5.9 billion for submarines, and $4.4 billion for aircraft carriers. Many of those ships will be built right here in Virginia. 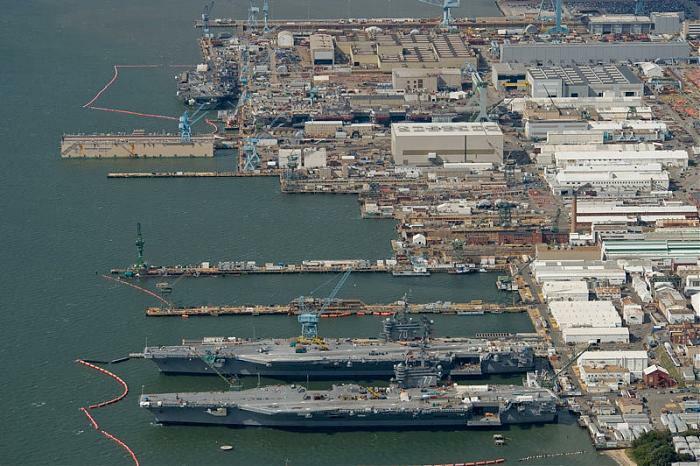 “Huntington Ingalls Industries in Newport News is the nation’s largest builder of military vessels. All of the nuclear reactors that power the Navy’s submarines and aircraft carriers are built in Lynchburg. “And every one of those new ships is going to require hundreds of sailors to man it. To meet that demand, on Feb. 12, the Pentagon unveiled a five-year plan to grow the Navy by 25,400 enlisted personnel. “Currently, the service’s end strength stands at 319,400. That’s projected to grow to 344,800 by the end of fiscal 2019. Finding 25,400 talented, qualified people may prove difficult. The civilian economy is robust and growing. Military service isn’t as appealing to young people who have multiple employment opportunities. The Navy has asked for $90 million in enlistment bonuses and better compensation packages to retain its current force. Those enticements and the 2.6 percent pay raise authorized in the NDAA may help meet the challenge. This makes sense exactly in the way that increasing fossil fuel consumption benefits certain fossil fuel profiteers. That is, it will destroy the future of the species of homo sapiens, but in the very short term, somebody’s going to make a buck. While military madness kills millions of innocent men, women, and children; endangers us; threatens our environment; erodes our liberties; and impoverishes us; we further advance the degradation of our culture by defending it as a “jobs program.” This is a moral mistake of such gargantuan dimensions that I hesitate to point out that it is also an economic error. Or perhaps the editorialists are fully aware that military spending reduces jobs nationally, but intent on making sure that Virginia gets more jobs than other states. The moral dimension is less easily circumvented. Profiteering from war was deemed shameful in the United States right up through World War II. Now it is openly and shamelessly promoted by people who may not even be directly engaged in it. Clearly war statues and fascist rallies are not all we have to regret in Charlottesville these days.